Having watched Steven Spielberg's excellent version of Ernest Cline's Ready Player One and now having the movie available for home viewing, I can't help but feel in a bit of a retro gaming mood. Actually, that's a lie as I'm always in a mood for retro gaming. I just wanted an excuse to post this here and make it kind of relevant. 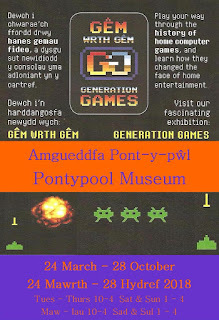 Today I visited Pontypool Museum in South Wales as I've been told they have a retro gaming exhibition. I just had to check it out and I was impressed. The exhibition is called Generation Games and concentrates on the video game consoles from the 1970's to present day. What's more, everything on display is owned by one person, Samuel Anstree. What a collection and he's not stopping. 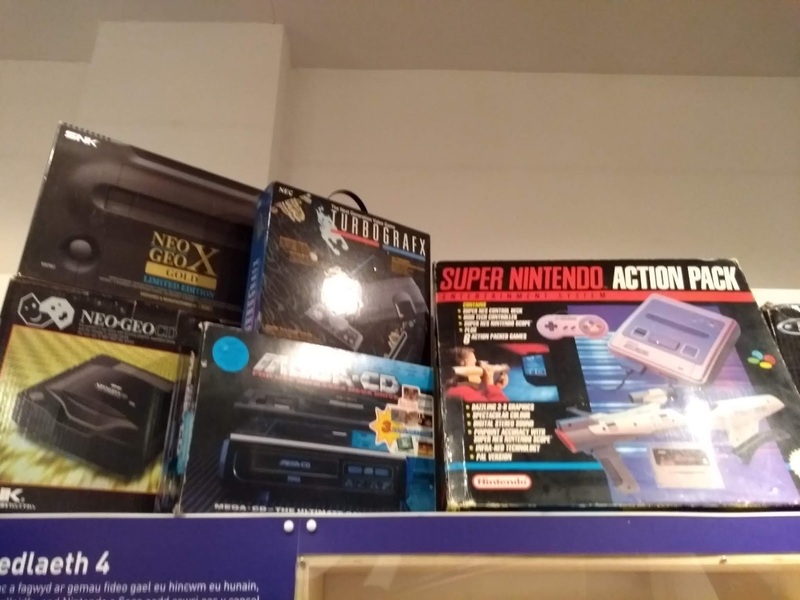 His objective is to have one of every game console ever released in the UK. Judging by this collection he can't be far off. 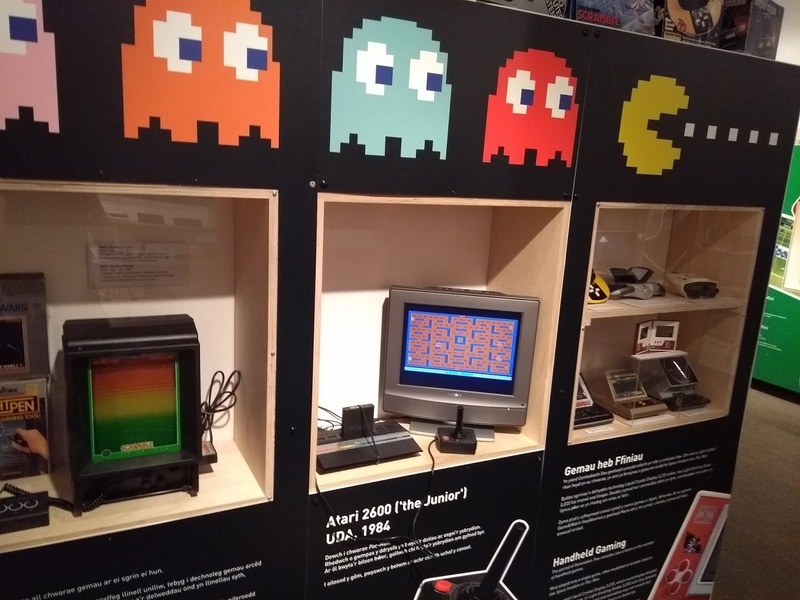 This exhibition which is a partnership between Torfaen Museum (Pontypool) and the National Waterfront Museum (Swansea) is laid out so you can follow the history of the game consoles. 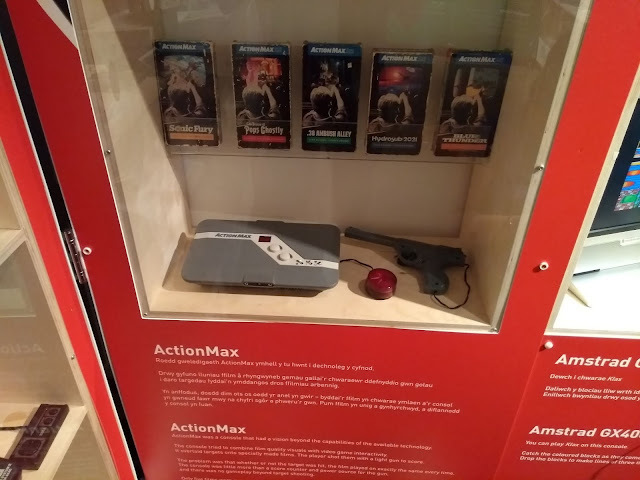 From Pong to Atari and more stranger consoles such as the awful ActionMax which connected to your video player. No matter what you did, the video on screen would play regardless with only a red light flashing as interaction to you hitting something or not. How video games have changed. Some of the consoles were hands-on and allowed you to play one of the games from a previous generation. Klax on the failed Amstrad GX4000 game console, Pac-man on the Atari or come bang up to date and experience flying as a bird on a PS4 VR headset. What a surreal but relaxing experience. 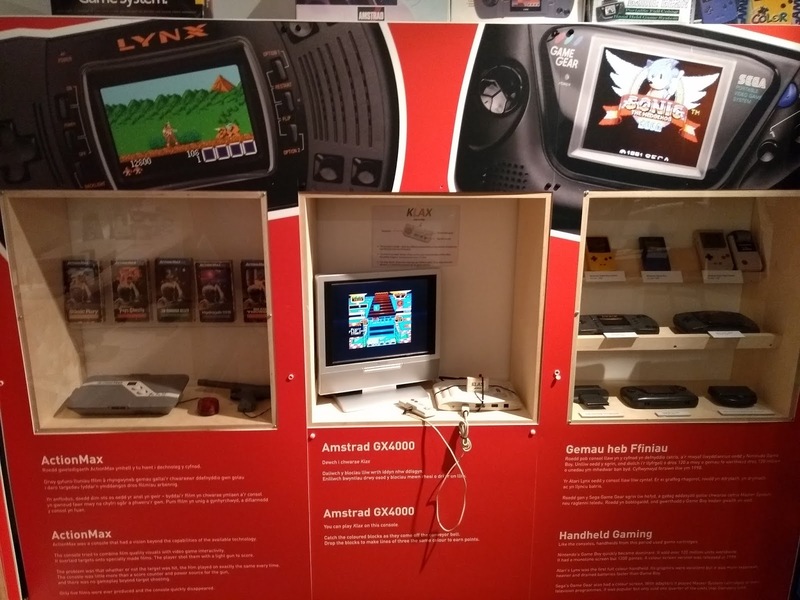 The exhibition is on until 28th October and costs just £4 to experience kilobytes of retro goodness. Rob is a geek who loves all things retro. Feel free to send him photos of your retro collection and he will post them on our social media pages. You can also contact him at @welshslider on Twitter.